July is an exciting month. 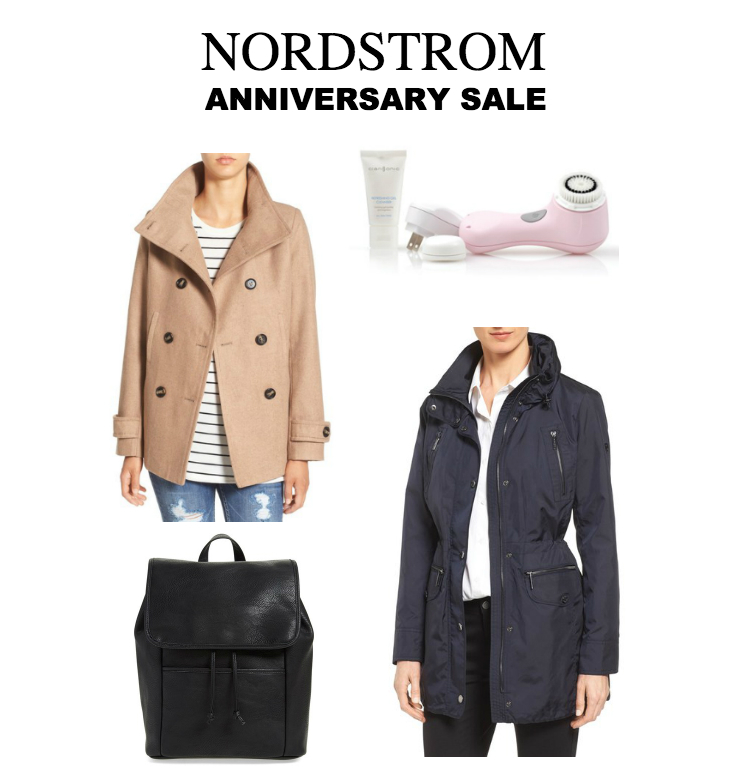 Not only is it my birthday month, but it is the Nordstrom Anniversary Sale meaning I get to gift myself with some deals! Unfortunately, I just found out my order won't arrive until 7/22, the last day of Early Access so since I won't be able to get reviews up right away, I decided to share what I purchased. As usual, I'm on a budget and try to only buy things I would use a lot. I know this is the simplest collage you've probably ever seen but I'm trying hard not to clear my wallet completely. Living in SF, I would say at least 75% of the year I dress in fall season clothing, with layers all the time, so here are my purchases for this year's sale. This was actually part of my second Nordstrom order and I only bought it because I saw it on Sweet and Petite's sale picks post. You can find her old review of it here. It doesn't come in petite sizes but I'm hoping that XS fits okay. A little worried that I should've sized up to an S but we'll see how it goes. I rarely use backpacks but while traveling I noticed I hated carrying a crossbody/over-the-shoulder bag all day. Because I carry one (sometimes two) small cameras during the day along with my phone and other personal belongings, my bag somehow gets really heavy throughout the day. It ends up hurting my shoulders even though I switch shoulders. I've been on the lookout for a basic backpack that will match anything but haven't had any luck at places like Marshall's and TJ Maxx so I opted for this one by BP. I like that it has a few pockets/compartments and lots of space inside. I'm anticipating it looking a little big on me but that just means I might be able to stuff an extra layer or scarf in there when necessary! I was actually struggling deciding between this jacket and this other Michael Kors Asymmetrical Zip Front Hooded Trench Coat. The one I purchased is definitely a little more casual than the other but I decided to purchase it because my work attire is typically on the casual side anyway. Plus I could wear it easily outside of work. I also was about to get it in Black when my boyfriend encouraged me to get it in Navy to make my outfits less boring haha. I always over-worry about matching or looking professional but Navy is a good color that can be dressed up or down. I'm hoping this one fits as well because the website says XSP = 2P and I'm normally 00P/0P so keeping my fingers crossed.